Ringgold Street is in one of the worst neighborhoods in the city for lead hazards. Picture a mother's terror as her 2-year-old baby girl starts convulsing after a day of lying down and not eating. At the ER, her daughter is diagnosed with lead poisoning, and for the next three years the mother has to take her baby to a specialist every week for treatment. She even has to quit her job to make the appointments. The little girl ends up being extremely lucky and suffers no permanent damage, but for her entire childhood her mother continues to worry. Liz Torres at age 2 was diagnosed with lead poisoning. The little girl in that story was Liz, our teammate and fellow student in Justice Lab at Temple Law School's Sheller Center for Social Justice. 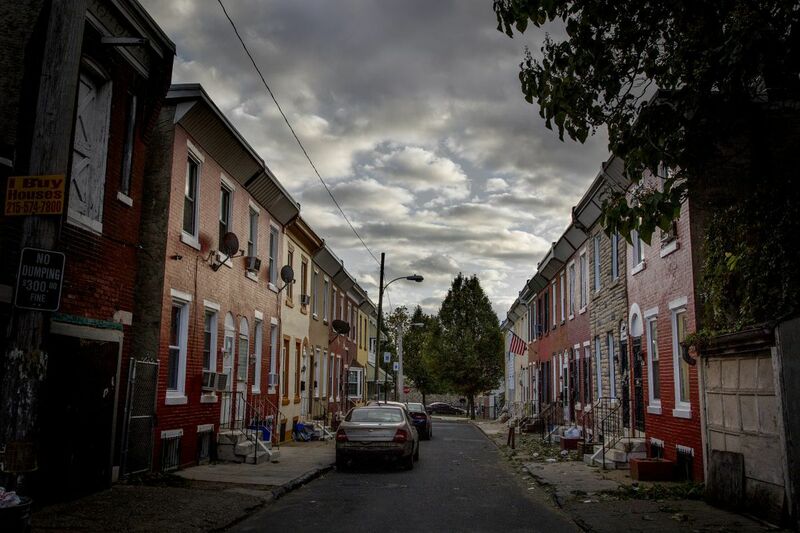 For the last several months, we have been assisting Community Legal Services in finding solutions to end lead poisoning in Philadelphia, where more than 70,000 children are at high risk of sharing Liz's story – or worse – because of where they live. According to the CDC there is no safe level of lead. Lead poisoning can cause severe damage to the brain and body, and its effects are irreversible. As low-income communities of color in North and West Philly have been particularly affected, our work focuses on renters to protect the city's most vulnerable children. Though the city passed the Lead Paint Disclosure Law in 2012, the Childhood Lead Poisoning Prevention Advisory Group last year found there are still gaps in protecting our children. Thankfully, easy and practical changes to current law can reduce the number of poisoned children even further. As Mayor Kenney and City Council consider acting, our four proposals must be included. First, all landlords should have to certify their housing is lead-safe regardless of their tenants' ages. The city currently requires lead disclosures to families with children younger than 7. This leaves pregnant women and thousands of children unprotected, while providing an incentive for landlords to discriminate against families with younger children. Second, Kenney and Council need to make sure the Health Department follows CDC guidelines, the federal government, and other cities and acts when a child's blood lead level reaches 5 micrograms per deciliter (μg/dL). Philly is behind the nation in protecting kids because it uses a blood lead level of 10 μg/dL to start worrying about kids like Liz. By the time the Health Department acts, permanent damage to a child's developing brain and body may have already set in. Third, as the city's largest landlord, the Housing Authority must do its part by requiring Lead-Safe Certifications for all government-assisted housing. Currently, these units only have to meet Housing and Urban Development standards, which require a visual inspection of paint. These inspections fail to identify the dust and dirt that are the primary causes of lead poisoning. Applying the city's stricter requirements to government-assisted properties can help address the health disparities and poor quality of life that trap low-income communities of color in poverty. Finally, landlords must be prohibited from evicting families who simply ask them to comply with the law. Currently, if a family finds out the property they are living in has not been certified as lead-safe and asks the landlord to inspect and certify the property, the landlord can end the lease when the term is up and evict them. This allows landlords to punish tenants for protecting their children and to keep poisoning future families. It is true that lead inspections and remediation cost money. The benefits to our children and society far outweigh the costs. Further, lead poisoning is associated with increased special education spending, higher health care costs, and higher future crime rates, with studies estimating a range of $1.2 billion to $11 billion nationally. More fundamentally, it is appropriate for the cost of doing business as a landlord to include preventing a property from poisoning children. These four proposals will empower parents seeking to make the best choices for their families, while giving all our children a chance to be part of Philadelphia's future. Liz F. Torres, Chris Lin, and Tony Sierzega are students in Justice Lab at the Sheller Center for Social Justice, Temple University Beasley School of Law.